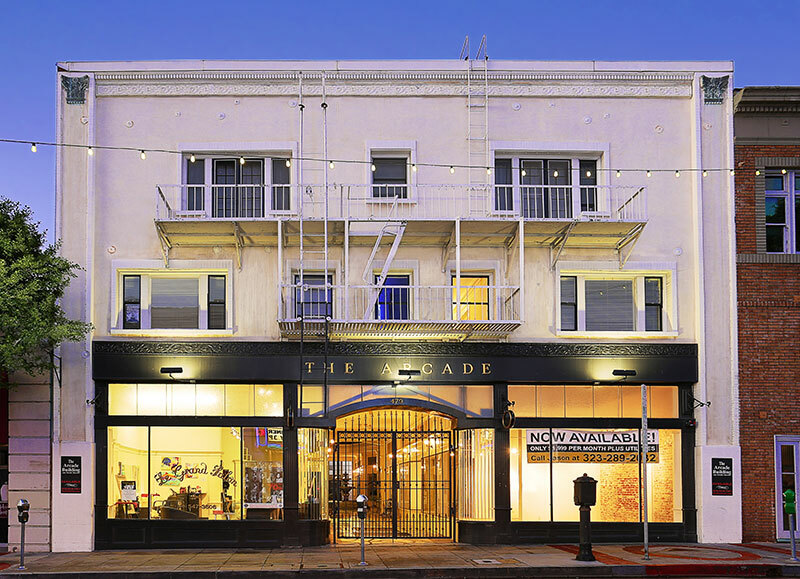 The prestigious and architecturally inspired ARCADE BUILDING is centrally located in the heart of old downtown San Pedro at 479 West 6th Street, adjacent to World Port LA / Los Angeles Harbor. Upon its complete renovation in 1986, THE ARCADE BUILDING was awarded the Los Angeles Conservancy’s top Award for Preservation. The site originally held a duplex known as Alessandro Flats, built by Alessandro (anglicized to Alex) Carresi. Carresi had a vision conceived from childhood memories, inspired by a building in his hometown in Italy. With the help of these memories and an architect, plans for the Arcade Building were born. In 1924, in a heroic effort to preserve this family’s home, part of the duplex was raised and supported while the Arcade was built underneath it. The former duplex became a penthouse, with a view of the harbor. Because Carresi was determined to create a structure that was both beautiful and unique the construction cost $80,000–enough to build a six-story building at the time. Today, over 75 years later, Mr. Carresi’s words and commitment to excellence seem even more important and insightful. His inspiration is still alive in San Pedro, and has resulted in the complete restoration of the ARCADE. The original architectural beauty shines through like the brilliant sun through the ARCADE’s magnificent skylight. 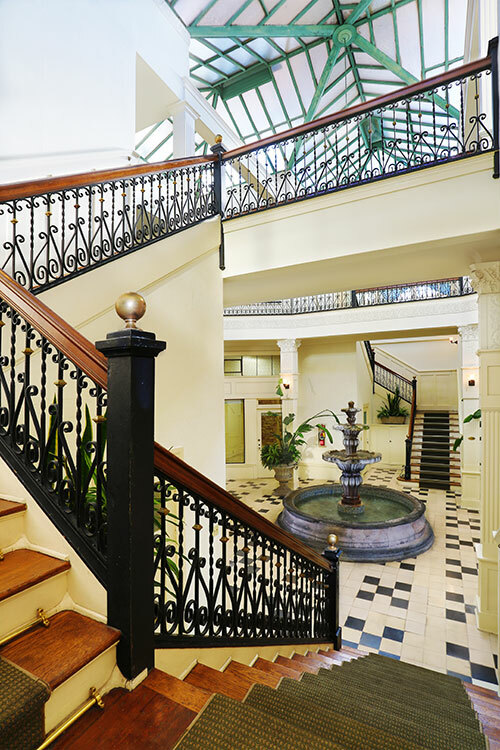 Carved columns, rare Italian tiles, the intricate wrought iron balcony and central fountain all represent yesterday’s elegance, available to you today. The end of an era….or beginning of new? The Arcade Building welcomes a new tenant! 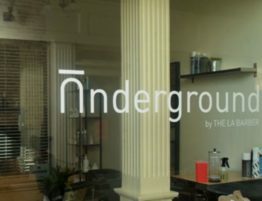 Underground by The LA Barber. First Thursday goes Underground at The Arcade! 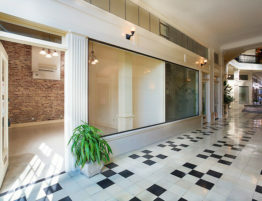 1st Thursday, February 2nd, The Underground will be celebrating their Grand Opening at Historic The Arcade, 5 – 9 PM. Ribbon cutting at 6:00 PM. Meet the LA Barber, Aiden Garcia Sheffield, Noemie creator and owner Yuvi Alpert and Co-Owner of Intelligent Nutrients , Nicole Rechelbacher. Come by and meet IN Master Esthetician and Educator, Gena Schmoll. The Arcade Building has a new tenant! You’re going to love our new tenant! 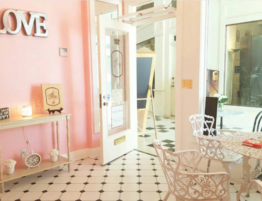 How could you not with a name like, With Love Bakery. That’s right there’s a bakery in the Arcade Building. Grand Opening is this Friday, January 29th. 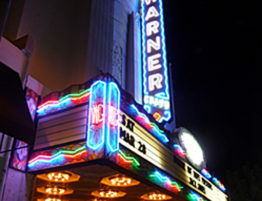 The Warner Grand Celebrates 85 Years! Warner Grand Theatre turns 85! And not too long ago the Arcade Building celebrated its 85th Anniversary. In 2009 to be exact. This special event made the front page of San Pedro Today. 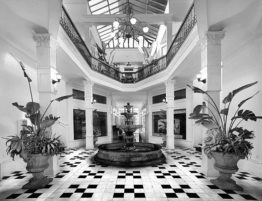 It’s hard to believe that was 7 years ago and this year the beautifully restored Arcade building will be 92 years young!